Book a private day trip from Cairo to explore Giza Pyramids Complex, the Egyptian Museum, then start shopping in one of the oldest markets in the Middle East Khan El Khalili Bazaar, then we will transfer you back to your hotel. -Tour Location Will Be In Cairo and Giza. Discover the history of pharaohs through an amazing tour that suits your needs, at the morning time we will take you from the hotel in Cairo by a private air-conditioned car to start a day trip from Cairo to Pyramids, the Museum, and Khan El Khalili. 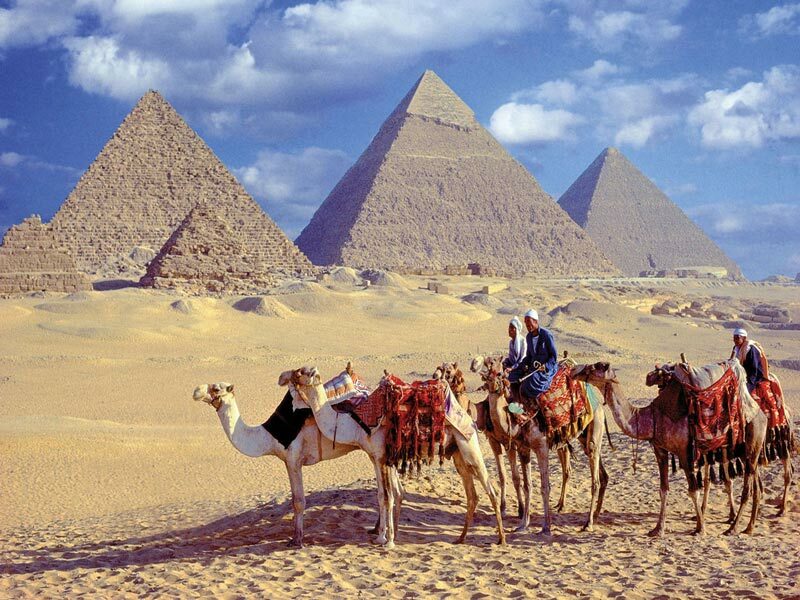 You will witness three main pyramids in Giza plateau that belongs to Egyptian pharaohs "Khufu, Khafre, and Menkaure". Your guide will start explaining the history of the pyramids starting with the larger one. The owner of "The Great Pyramid" of Giza is (King Khufu) who ruled Egypt for about twenty-three years from 2574 to 2550 BCE, during the Fourth Dynasty in the ancient state, the pyramids are considered the first of the seven wonders of the world, which still exist so far. Despite its construction since about 5,000 years ago, the Great Pyramid still contains secrets that exceed the Number of its stones, to increase the mystery of the pyramids. 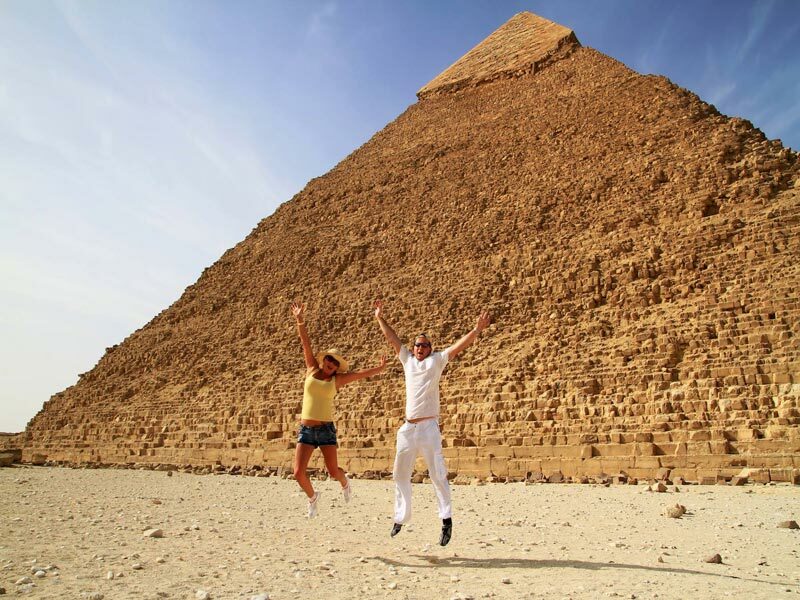 Continue your day trip from Cairo to "The Great Sphinx" and enjoy taking memorial pictures. Afterward, you will be transferred to visit The Valley temple, a mortuary temple at Giza plateau. It is time to have your delicious Lunch at a local restaurant and enjoy the Nile view. 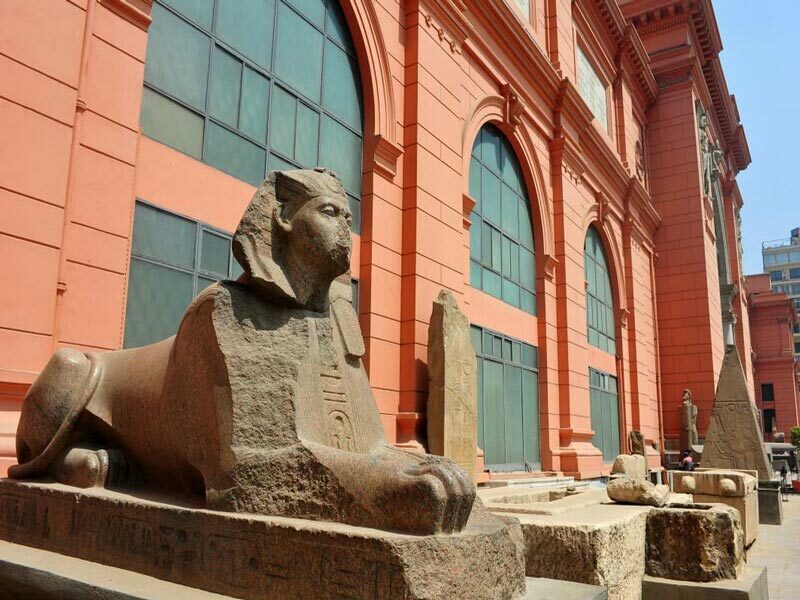 Your day trip from Cairo also includes a visit to the Egyptian Museum which displays many rare collections of arts and over 250,000 real artifacts. End your day trip from Cairo by paying a visit to Khan El Khalili Bazaar, the streets of this place are full of tourist attractions, religious attractions, and entertainment, so you can visit Mosques, archaeological sites, shopping centers and enjoy the atmosphere of local cafes. 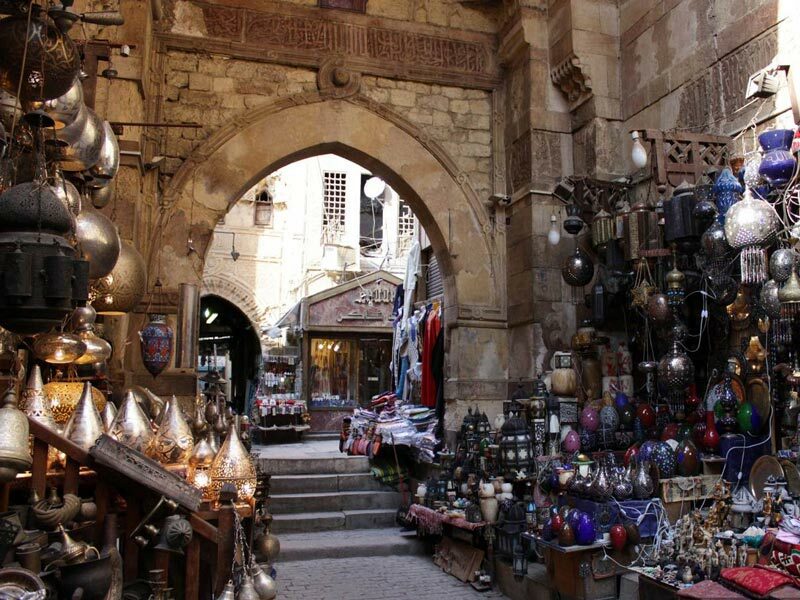 During your trip at Khan El Khalili, you could buy pharaonic artifacts, handicrafts, various stones, leather products, natural herbs and incense, and narghile (Arabic shisha), Which has become one of the most famous products of Khan El-Khalili. There is also a place dedicated to historical accessories such as swords, copper helmets, and belts. The prices of these products vary depending on its size and quality. Afterward, you will be transferred back to your hotel in Cairo. Note: If you didn't find what you're looking for, then check your Cairo day tours and choose your favorite trip. Private Egyptologist guide during the tour. Shopping tours in Cairo . All transfers by a private air-conditioned vehicl.